Miss Pucci (Eau de Parfum) is a perfume by Emilio Pucci for women and was released in 2010. The scent is floral-citrusy. It was last marketed by LVMH. Emilio Pucci MISS PUCCI is a magnolia perfume, so let's set the record straight here. According to the manufacturer's card, the dominant notes are magnolia, rose, and musk, and that definitely coheres with my olfactory experience. This composition is a simple, clean, uncluttered presentation of magnolia which should be a welcome arrival for those troubled by the perhaps carcinogenic opening of Lanvin RUMEUR (which I finally decided to swap away, despite the beautiful bottle, because I just found the contents too scary to contemplate wearing). 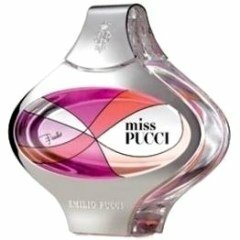 Write the first Review for Miss Pucci (Eau de Parfum)!